Coastal waters near heavy human development are more likely to receive land-based “pathogen pollution,” which can include viruses, bacteria and parasites, according to a recent study from the University of California, Davis. The study said higher levels of rainfall and development increase the risk of disease-causing organisms flowing to the ocean. The study, published recently in Nature Scientific Reports, adds to years of work by a consortium of researchers led by the UC Davis School of Veterinary Medicine’s Karen C. Drayer Wildlife Health Center and the California Department of Fish and Wildlife. The scientists were called upon to help decipher the mystery in the late 1990s when a parasite hosted by cats, Toxoplasma gondii, caused deaths in sea otters along the coast of California. Wild and domestic cats are the only known hosts of T. gondii. The parasite can shed its infective egglike structures, called oocysts, in their feces. In soil, freshwater and seawater, these hardy oocysts can survive for over a year in some cases, infecting animals and people. The latest study advances earlier work by tracking the parasite to see how human-driven land-use change and rainfall might be impacting pathogen movement from land to sea. From 1910 to 2010, California’s human population, the majority of which resides in coastal counties, expanded from 2.4 million to more than 37 million, with close to 50 million people expected by 2050. The growing human population reshaped large areas of the California coast, converting natural habitat to residential, industrial and agricultural uses. Natural environments like forests, grasslands and wetlands can help filter out pathogens like T. gondii before they reach the sea. However, a paved or tilled landscape promotes the flow of contaminated runoff into waterways, storm drains and, ultimately, the ocean. Using census and land-use records, the authors estimated that development between 1990 and 2010 increased oocyst delivery from coastal watersheds to the ocean by 44 percent. Climate change may also exacerbate the journey of pathogens to the ocean. Changes in rainfall or in the intensity of storm events can alter the level of contaminated runoff. Oocyst runoff rose by 79 percent between years of low and high precipitation. When increases in development and climate variability are combined, oocyst runoff more than doubles. “Human-driven changes can increase pathogen runoff, but we also have the power to reduce coastal pathogen pollution through actions like conserving wetlands and riparian areas along waterways, reducing paved surfaces in our developed lands, and reducing the amount of poop left in the environment from pets and free-roaming domestic animals,” VanWormer said. 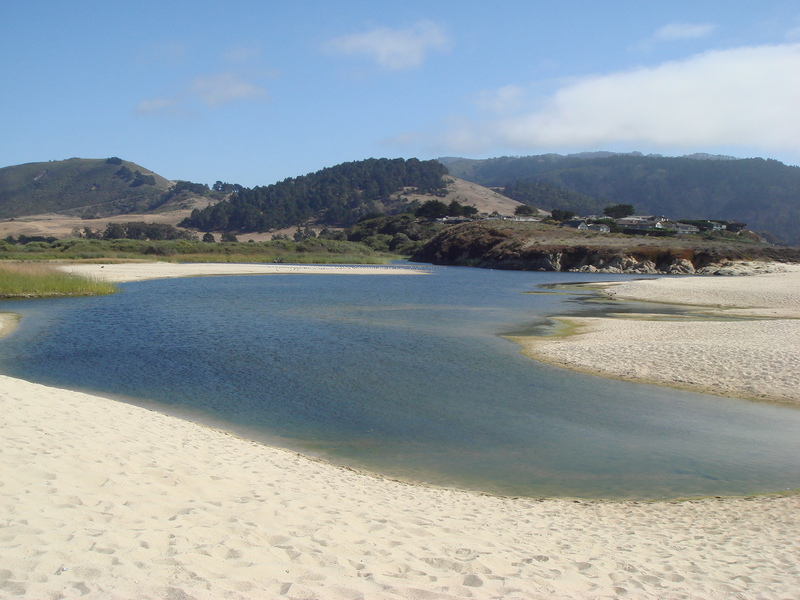 Decades of collaborative research by the California Department of Fish and Wildlife, USGS, Monterey Bay Aquarium, the Marine Mammal Center, University of California Santa Cruz, and UC Davis, with commitment from the National Science Foundation Ecology and Evolution of Infectious Diseases program, provided the interdisciplinary tools and knowledge necessary to assess the impacts of coastal development and climate variability on coastal pathogen pollution. Co-authors on the study included Karen Shapiro, Wesley Wallender, Patricia Conrad, John Largier and Jonna Mazet, all from UC Davis; Tim Carpenter of Massey University in New Zealand; Purnendu Singh of VNR Vignana Jyothi Institute of Engineering and Technology in India; and Marco Maneta of the University of Montana. Elizabeth VanWormer, 402-429-8779, evanwormer@ucdavis.edu. VanWormer is now an assistant professor of practice at the University of Nebraska-Lincoln and is based there.